TEMPO.CO, Jakarta - Presidential candidate number 02 Prabowo Subianto and his running mate Sandiaga Uno vowed to support the gender-based laws and economic policy in order to end discrimination for women at works. 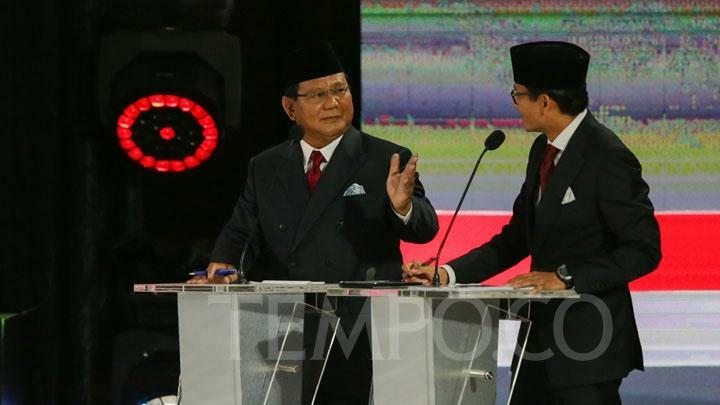 The vow was stated during the fifth presidential debate on Saturday night when Prabowo stated that women had a great role in strengthening Indonesia’s economic development, hence the laws must serve their interests. In terms of economy, Sandiaga stated that two-thirds of women in Indonesia have contributed to micro, small, and medium enterprises (UMKM). Consequently, the country’s economic policy must be accessible to women. “We will focus to not only providing loans for women but also ensuring they will be assisted on maintaining their business,” Sandiaga remarked while adding that 80 percent failure in growing business caused by the lack of mentorship. Prabowo’s running mate further mentioned that he will use his entrepreneurship program OK OCE to help women obtaining permits for their businesses. The fifth debate discussed economic and social welfare issues, finance and investment, and trade and industry. It will be the last round of the series of debates prior to the 2019 presidential election. 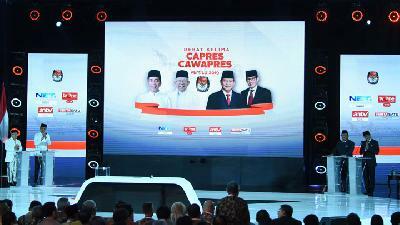 On his opening speech, Prabowo and his running mate Sandiaga Uno remarked that increasing working fields and decreasing staple food’s prices are key to improving Indonesia’s economy. The General Elections Commission held five presidential debates, covering a variety of national issues, including law, human rights, corruption and terrorism for the first round. The second round of debates was attended only by vice presidential candidates Ma'ruf Amin and Sandiaga Uno, bearing the theme energy, infrastructure, natural resources, food stock, and environment. Education, health, manpower issues and social and culture were the themes in the third debate, and the fourth one about governmental ideology, security, and international relations. 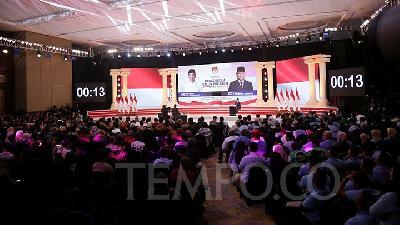 Indonesia will hold its first ever simultaneous presidential and legislative elections on April 17. The incumbent presidential candidate Joko Widodo who teams up with Ma’ruf Amin will compete against the opposition Prabowo Subianto and his running mate Sandiaga Uno.